Khan hit the headlines when she approached the Supreme Court to challenge the triple talaq given by her husband, due to which she would have had to go for Nikah Halala in order to remarry him. LUCKNOW: A Bareilly court on Wednesday declared the instant triple talaq handed out to Nida Khan by her husband Sheeran invalid, and rejected his petition seeking a stay on the domestic violence case filed against him by Khan. Nida Khan is a petitioner in one of several cases of instant triple talaq. While rejecting Sheeran's petition, the court posted the matter for hearing on July 27. The court also ordered the authorities to probe the domestic violence case against Khan's husband and his family. As per Khan, after being divorced by her husband through triple talaq, she was forced to enter into a wedlock with her father-in-law and brother-in-law and consummate the marriage with them under the Islamic practice of 'Nikah Halala', so that her husband could re-marry her. Nida Khan refused to do so and wrote to UP CM Yogi Adityanath, urging him to abolish the 'evil' practice to dissolve marriages solemnised as per Shariah law. A local cleric in Bareilly had on Tuesday issued a fatwa against Nida Khan, who runs an NGO to help instant triple talaq and halala victims. "No medicines will be provided if she falls ill. If she dies, no one is allowed to offer namaz on her 'janaza' (funeral procession). She cannot be buried in kabristan (graveyard) after her death," Shahar Imam Mufti Khurshid Alam of Bareilly Jama Masjid had said. "Nida wants an amendment in Shariah, while Islamic laws were made by Allah. As Nida has been making statements against Quran and Hadith, she is dismissed from Islam," he said. Khan married Usman Raza Khan alias Anzu Miyan Sheeran of Dargah-e-Ala Hazrat family in 2015, and was divorced in 2016. 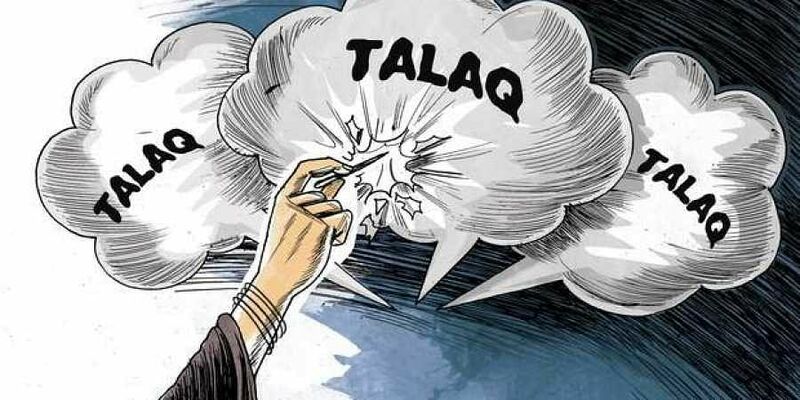 The issue is in focus as the Supreme Court is set to give its opinion on "Nikah halala", which dictates that a couple divorced by "triple talaq" can remarry only if the woman marries another man, consummates that marriage and seeks a divorce. Meanwhile, the state Minority Welfare Board's chairman, Tanver Haider Usmani, has taken cognizance of the fatwa issued by the Bareilly cleric and sought a detailed report on the issue from the DM and SSP of Bareilly. Moreover, the board has sent a two-member team comprising Rumana Siddiqui and Kunwar Iqbal Haider to Bareilly to take stock of the case and submit a report. Religious bigots who use the name of shariah for their own benefits and to subjugate women in the name of religion. Pathetic people!